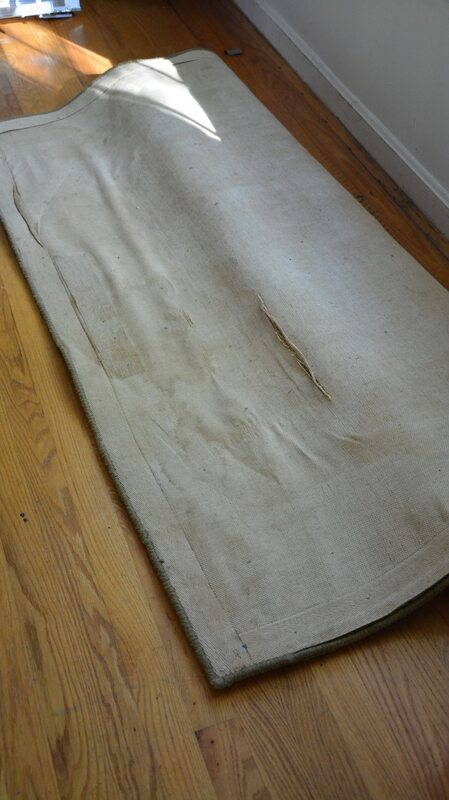 I was recently blasted on Facebook for showing a “BEFORE” picture of my family rug without vacuuming first. If crumbs on a rug stir such an emotion, well then let me open the flood gates. Because I’m going to show you what my family room rug really looked like, from the scary side underneath! We’d had this rug for the past 12 years, the same amount of time since we had our sofa. But while we could spruce up our sofa so that we didn’t have to buy new, I surely didn’t want to keep this rug. It was really…..ahem….well-loved and too far “gone” I guess you could say! It was time for a change!! 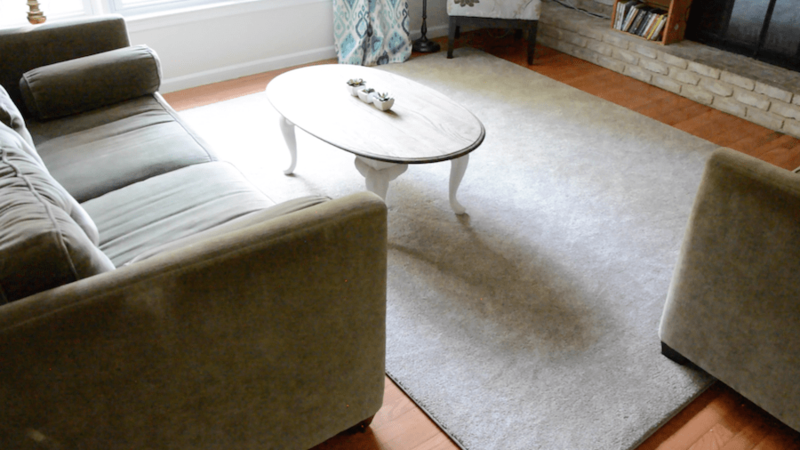 I had ordered fresh carpeting with Carpet One for my master bedroom makeover in the spring and had the best experience at my local Carpet One in Beltsville, Maryland! There is a sales associate there named Michael that should receive the Employee of the Century award. Seriously. In this day and age, where everyone is rushed and rude, he really took the time to patiently help my “can’t-ever-make-a-quick-decision” self figure out what I wanted. He even loaned me his sample books of carpet samples!! That may not seem like a big deal to you…but when you can’t figure out color combos while in the store, having the actual sample in your house makes a world of difference in getting the color right. What a great color choice! But what’s even better, is that I chose the Tigressa H2O carpet from Carpet One!!! Hey….if they can do it for a cell phone case….why can’t they do it for carpeting, right?? I didn’t realize that waterproof carpeting is what I needed in my life, though. Never even fathomed it. 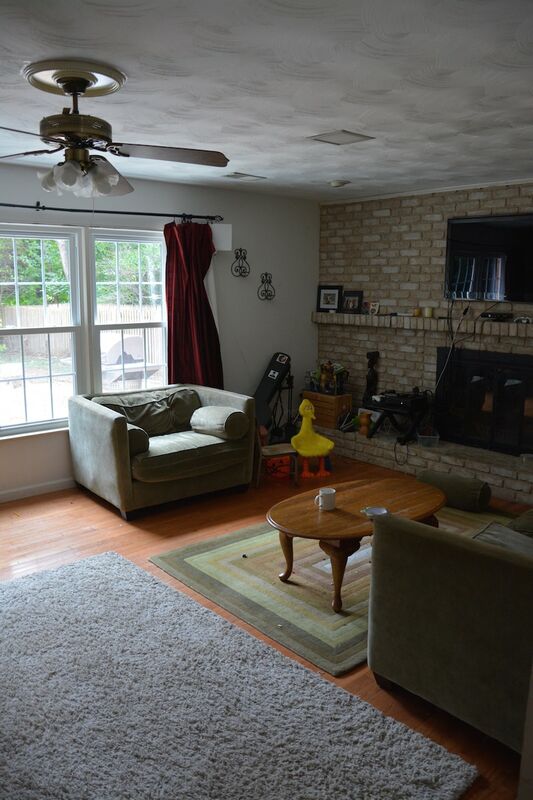 But after seeing the beating that my family room carpet took (don’t judge)…..
…I knew that waterproof carpet was the right choice. 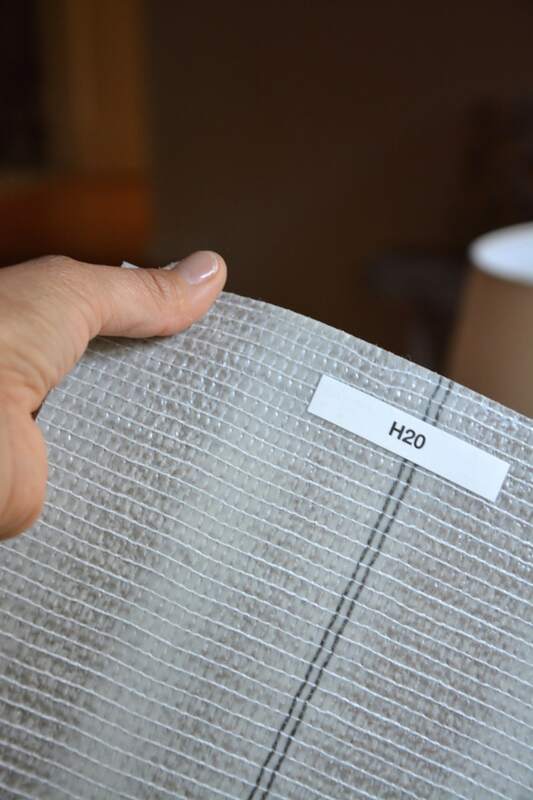 The beautiful thing is that the Tigressa H2O is kid-proof, pet-proof, and waterproof! We don’t have any pets, but I’ve had toddlers and preschoolers. They all pee on the floor. So–yeah–I’m sold! 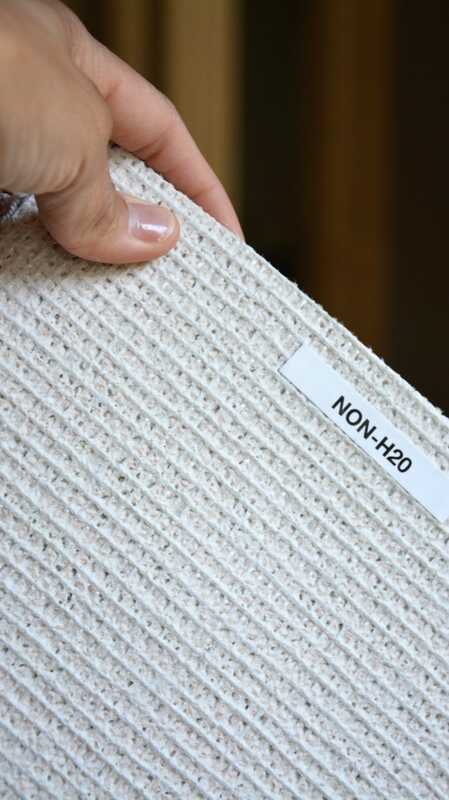 Regular carpet is very porous. You can see all the holes in the back. I also really like that Carpet One is able to bind off nearly any size rug! They can do an entire area–I just prefer the look of a little wood floor peaking out from the edges. But if you want your entire room carpeted, Carpet One can handle that, too! My master bedroom is a big ‘ole square and when I was doing over that room, I needed a large square rug. I couldn’t find that at a regular store without having to lay down two expensive rugs. Instead, I had Carpet One bound a soft 12 x 12 remnant and it looked and felt awesome! Just a hint of wood floor peeking out, just how I like it. 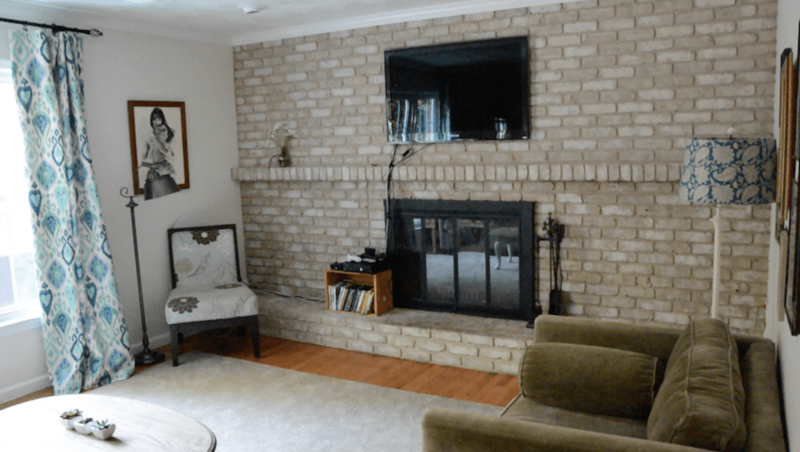 I wanted something similar for my family room–something larger than that dirty ‘ole green 5×7 that we bought 12 years before, but something that would still show the wood around the perimeter of the room. Funny how it looks two different colors, but I assure you, they’re both the Mushroom color of the Tigressa H2O! So Carpet One had sent me a demo kit to do my own little test to see just how waterproof the Tigressa H2O carpet is. I had to enroll the help of the smallest members of my family, Kojo (3) and Ohene (5) because after all, this rug is for THEM! (And for Mommy, so her floors underneath the carpet doesn’t get ruined by spills!). I pulled them in to help (actually, I bribed them with candy and electronics. HA!). Have a look at the Tigressa H2O in action, and my little “mini-me” assistants! I’m really happy with this carpet and I’m looking forward to getting more sizes cut for other places in my house, especially the kids’ room! You don’t even want to see the dark pee spots from the kids having accidents in there…. LOL. If you’ve got kids or pets, then you might want to consider the waterproof Tigressa H2O, too. You can check out all their color options online and find your local Carpet One dealer, too! 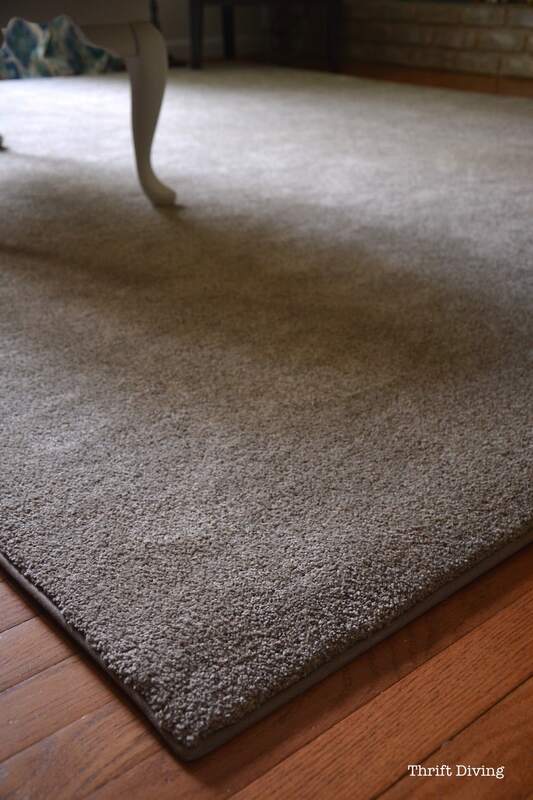 Have you guys ever had kids or pets ruin your carpet or flooring underneath your carpet?? Leave a comment to add to the discussion! 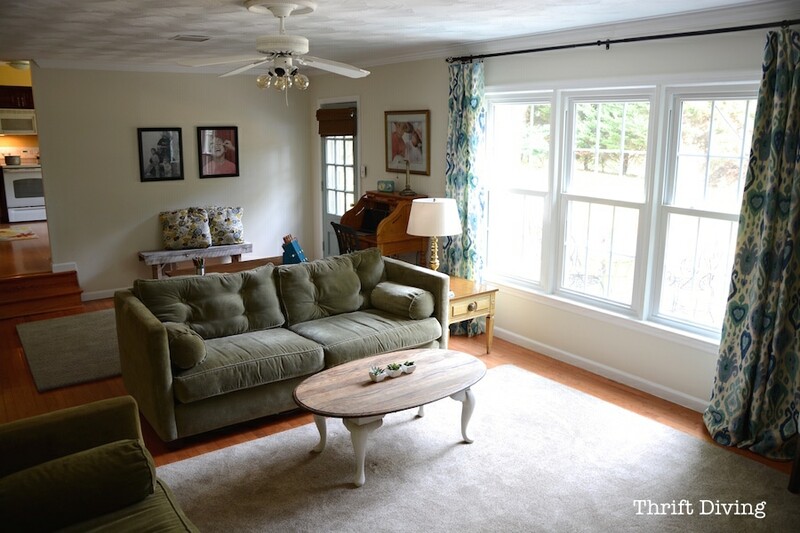 In the meantime, you might want to consider joining my new 30-Day Room Makeover, too! We just purchased Tigressa H2O for our bedroom, I have 2 dogs. The carpet looks beautiful and right after it was installed one of my dogs went #1 on it. What do you recommend I use to clean it for any future accidents? Too cute for words. Love how excited the boys were about this rug . They really enjoyed their experiment and it showed. Just adorable and tell the boys they are amazing salesmen. Hey, Debra! They were soooo excited, indeed! They were the best little assistants! I am totally going to hire them. LOL Thanks for commenting!!! Hey Serena, has anyone told you yet that you and Fatima could pass as sisters? Wow, same smiles and everything! Serena, I loved your video and your awesome assistants! I wished this waterpfoof carpet was around when I was raising my 4 little girls! Now that I’m a grandmother, this carpet is still a blessing! Although my daughters have let me know that my grandchildren get away with the same things they got in trouble for. Surely they are making that up! Lol I enjoy all of your projects. I’m excited every time I see a new email from your! God bless you, your family and all that you do! Hey there, Debby! Isn’t that how it always is?? Grandmas are 10 times more lenient than when they were parents! LOL. I can only imagine what my grandkids will get away with. I’d probably let them dump grape jelly on the rugs. HA! 🙂 KIDDING! Hey Serena, not everyone can pay their assistants in candy and electronics….lol Awesome team effort. Thanks for sharing the carpet review. See ya’ later gators…. Very nice video! And such cute assistants, too! I wish I had this carpet in the place where I lived before! I had 3 cats and unbeknownst to me for a time they were using corners for their potty! Tried and tried to get the smell out and never could. Don’t even want to guess what the underneath side and carpet pad looked like! I sold the place “as is” because I knew the carpet would have to be replaced. The other thing I discovered while watching your video is that I like the carpet square with bare edges showing look! Another reason why I loved your bedroom makeover, too. Since I am in an apartment I would have to use a rug over carpet to get that effect, but why not? Maybe in the dining area or living room. I learn so much from your blogs, both about myself and how to do things! As for those who get upset about “reality,” don’t worry about it. Truth is, we all have dirt, stains and dirty rugs. I love the fact that you are so honest about life and aren’t afraid to show yourself as real. The difference is, you show us how to move on to better things and that’s got to be about the coolest thing ever! You go, girl! As for the dirt, it’s still embarrassing at times, but it’s LESS embarrassing showing it when I’m working on it! Like you said, when you’re moving on to better things, that’s the cool part! Thanks, Teckla!!! Really glad you enjoy my blog! great post and cute video! ugh! I currently have a geriatric cat with a small incontinence problem. Sounds like this is the kind of throw rug I need. Binding? awesome! Definitely, Gail! And they also do full rooms, not just the smaller size like how I got! Sorry to hear your cat’s incontinent. You know, after having 3 kids, I do, too! HAHA!! I didn’t know they made that water-proof carpet. Love the way it beads up as well. I like your assistants. Reminds me of my grandkids. The makeover is great. I am learning a lot. Working on making over my den. Keep the makeovers coming! Hey there, Elaine! That’s what I thought when I heard about it, too. I was like, “Hmm…waterproof carpet!” Pretty sweet the way it beads up!! Your assistants are very appealing. A bit unpredictable, but so entertaining. Love the new room. I love your video! LOVE it! Your boys are adorable and so are you. We had a similar experience when we ripped out our living room carpet a decade ago. We have two boys and several cats, so all sorts of things transpired on that floor. Yuck! 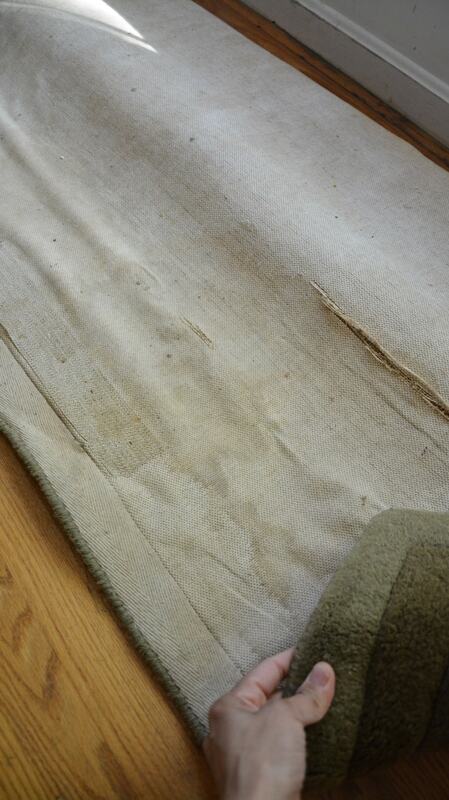 I love the idea of waterproof carpet, and how cool that you can buy a remnant and have it bound. Perfection. As for the Facebook ‘haters’ criticizing you for showing an un-vacuumed floor, my guess is they’ve been shamed in the past and are just passing it on. It’s nice to see a real home, with real people living in it, and to see the messes we all have. Finally, hurrah for excellent customer service. That is always something to celebrate. Hey, Alys!! I’m so glad you loved the video! It’s so funny, but the first video I shot while they were in school, I couldn’t use because my necklace kept banging against the mic! LOL. So I ended up re-shooting it, and man, I’m glad I did! They were a lot of fun to work with! And yessss, the remnant and binding of it is fabulous! They also have standard rugs with patterns, too. I generally like plain rugs. I can’t do many patterns or it starts to look messy to me!